Front Flap: "Altagracia--her friends call her Grace--has a tattoo of Nuestra Senora de Altagracia on her shoulder; she's got a Ford Motor Company tattoo running down her leg; and she has greased worked so deep into her hands that it'll never wash out. Grace works at Sanchez Motor Works, customizing hot rods. A few blocks around her small apartment building is her world--from the grocery story where she buys beans, tamales, and cigaretts to the library, the little record shop, and the Solona Music Hall. Which is where she meets John Burns, just two weeks too late. Grace and John fall for one another, and that would be wonderful, except that they're both haunted by unfinished business. Before their relationship can be resolved, they're both going to have to learn things they don't know about the world of the living and the world beyond. About why it's necessary to let some things go." 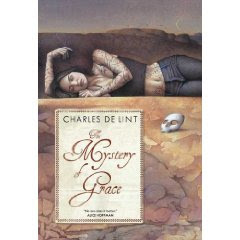 At first glance, "The Mystery of Grace" reminded me of another story about a tattooed young lady (Blood Bound by Patricia Briggs), but the resemblance was fleeting. Grace gets shot in the chest in a robbery gone bad at her favorite grocery store. She wakes up in a limbo like world of her neighborhood populated by recently deceased neighbors, most she didn't know or was aware they existed. At first she refuses to believe she is dead, but her neighborhood is different with few people and a few blocks away in any directions are the mists that won't allow you go anyplace but there. She discovers they are allowed to visit the live world two days out of the year - October 31st and April 30th. Her first Halloween, Grace revisits her neighborhood and no one recognizes her. She meets John at a halloween party and spends the night with him. When she disappears without a trace from his bathroom in the morning, John is determined to find her. Imagine his surprise when he discovers she had been killed two weeks before they meet. Their story is an intriguing as both work to keep on living, waiting for April to come so they can see each other again. In the meantime, Grace discovers a mystery about her limbo world and tries to solve it in order to find out why she is there and not in heaven. What is holding these people and preventing them from moving on? Can she return to the land of the living and reunite with John or is their relationship doomed because she is truly dead. Why did she find him after she died and will she have to let him go? "The Mystery of Grace" is an excellent story and well written. It is truly different from De Lint's other stories. It is a story of learning to let go, belief in yourself and strength of character. The storyline is intriguing and keeps you wondering what is going to happen. Charles De Lint is one of my favorite authors and I have read all of his books. Don't miss out on "The Mystery of Grace." Links to more thoughts about "The Mystery of Grace." "I did enjoy this one, and I really loved the characters, who are believable and complex and utterly sympathetic." "de Lint’s craftsmanship with the written word is as strong as ever. The man is a true artist in his medium. -Strong characterization, even of minor characters. 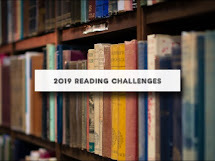 Charles de Lint has the ability to quickly paint a picture of people that allows the reader to form a connection with them without an enormous page count." ‘The Mystery of Grace’ is one of those books where I can quite honestly say that I’m really glad I took the time to give it a go."